Amy T. Lang has more than 10 years of experience in drafting and prosecuting applications across a wide variety of technologies. Her practice focuses in the areas of biomedical devices, chemical compositions, internal combustion engines, semiconductors, and mobile/internet technologies. 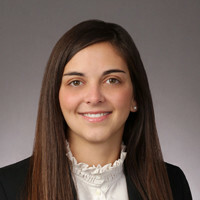 She is also a member of our Design Patent practice group.Amy has extensive experience in conducting all phases of prosecution in US and foreign patent applications for utility and design applications. She has drafted numerous new applications in a variety of technology areas. Her expertise also includes portfolio analysis, infringement and validity opinions, and due diligence analysis. Additionally, Amy has conducted oral arguments at the USPTO Patent Trial and Appeal Board. Amy began her career at the USPTO, where she was a Primary Examiner in the medical device art division. Prior to joining the firm, Amy worked at two prominent law firms in the DC area, where she focused on patent preparation and prosecution. She also worked on litigation matters and Inter Partes Review (IPR) and other post grant proceedings before the USPTO Patent Trial and Appeal Board.